Large body scrub $15. 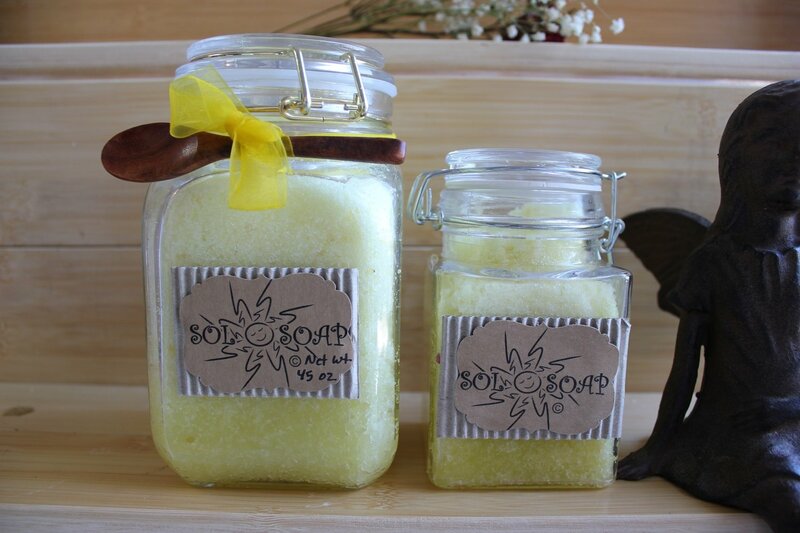 (30 oz / 3lbs) on left / Medium size body scrub $8. (13oz / 1.5 lbs) on right.